The Vehicle Clamping Act was passed into law almost two years ago but it is still yet to be implemented and enforced. 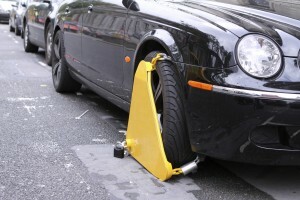 The Act was intended to curb the predatory practices of “cowboy clamping” which saw people stung for excessive fees after minor parking infringements. This legislation, which received cross party support, was put in place after it was revealed that certain clamping operators were abusing their position. For example, many motorists received excessive parking fines for minor infringements such as parking on the wrong side of a line or purchasing the wrong ticket from poorly signed parking machines. The operators could charge what they liked and there was a lack of any independent appeals mechanism. Following ongoing public pressure the Vehicle Clamping Act was finally passed in the Oireachtas and signed into law by the President on the 6th May, 2015. Yet, despite the enactment of that legislation, the reality is that the clampers continue to operate with impunity. Charging excessive release fees, dismissing appeals and acting in a predatory manner is not only hurting motorists but crippling our struggling town centres as they attempt to re-ignite trade this Christmas and recover from the recession. Last month I queried how these practices could be still continuing, and was shocked to discover that despite the legislation being enacted, it has not yet come into force. This is namely because the NTA do not have the resources to implement it. It’s simply ridiculous that the Government has failed to provide the necessary resources for legislation which the Oireachtas has passed into law. I raised this issue directly with An Taoiseach Enda Kenny today in the Dáil. I expressed my concern that the NTA are looking to over-complicate it by devising detailed regulations, above and beyond what is needed to sort out this problem once and for all. The Government needs to ensure the NTA is adequately resourced so that this legislation can be enforced as originally intended.